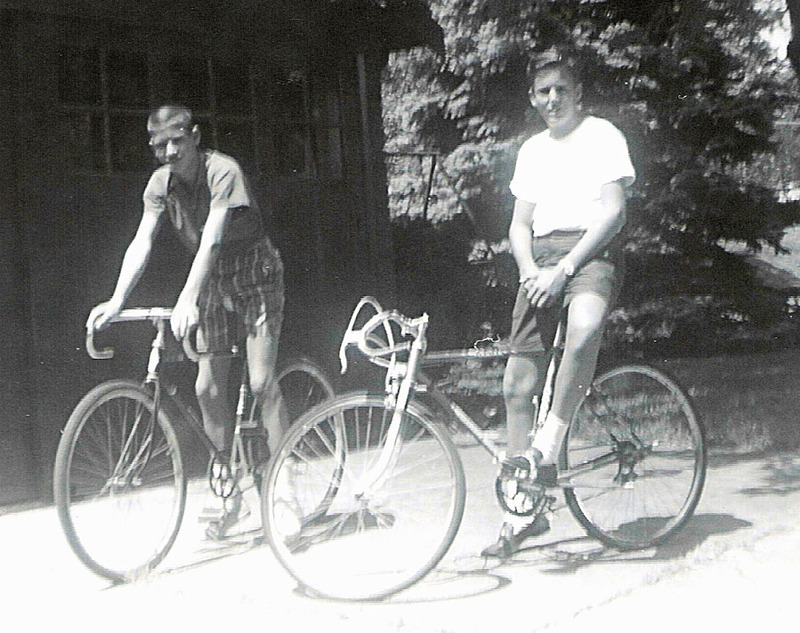 This 1960 Schwinn Varsity 8-Speed was my 1960 Christmas present! I retired 3 years ago and started cleaning up my garage. I still ride my bicycles daily-weather permitting. When cleaning up the garage I found my old Varsity and decided to give it some much needed tender loving care. When I was working on the Varsity I started digging through my old paperwork. I found my sales receipt, owners manual, and hang tag from when the bicycle was purchased. I also found a picture that my mother took of me on the bicycle with my friend on his new bike from the following March! The only thing I couldn’t find was a cyclometer I bought 3 days after Christmas and had on the bike as long as I can remember. I’m still looking for it because I really want to know how many miles I put on it over the years! After going through it I took it for a test ride…PERFECT…but way too small for me now! 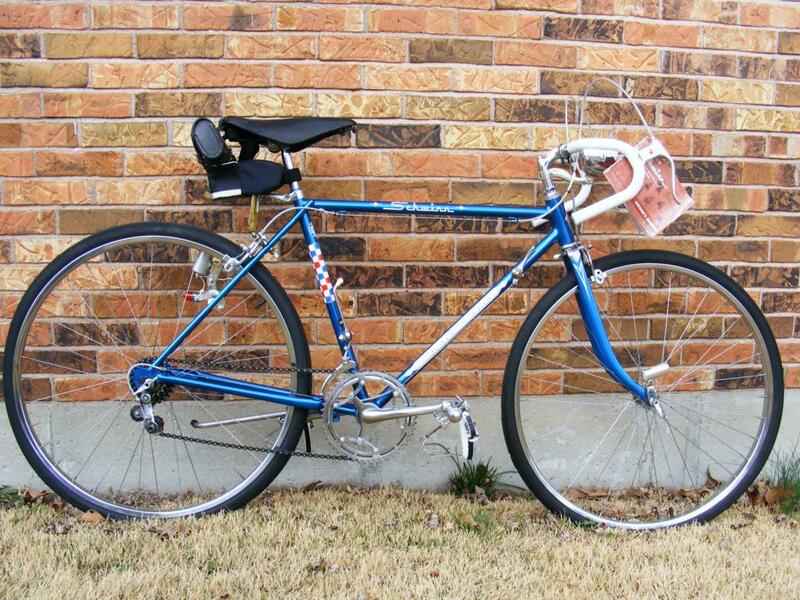 The Varsity is a 19″ frame with 26″ wheels & tires…Fit me perfectly in 1960! I am now 6′ 3 1/2″ tall around 245lbs. I bought a Schwinn Traveler 12-speed with a special order 27″ frame and 27″ tires & wheels back in the 1980’s that I still ride daily. The Varsity is exactly today as it was in 1960 except for a replacement cyclometer I found for it….BUT….I’m determined I will find my original cyclometer yet!! !